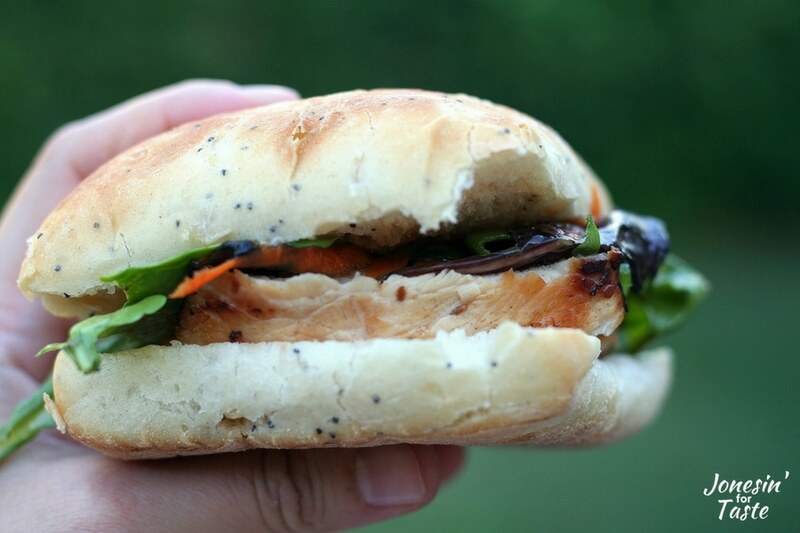 Keep things simple on a busy weeknight with this Easy Sesame Grilled Chicken Sandwich topped with a spring lettuce mix on a ciabatta roll. 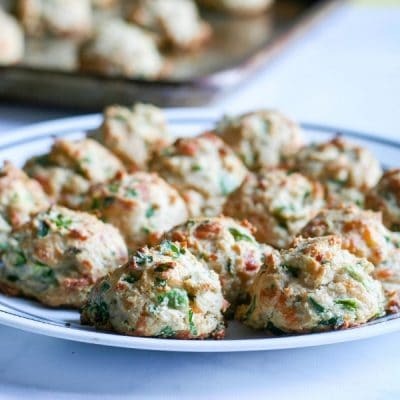 Since we got back from our jam packed vacation last week I’ve been trying to keep cooking really simple so I could enjoy some down time with my family. Isn’t that so funny how you usually need a vacation from your vacation? It was a blast but we’ve enjoyed taking it easy around here. I’ve been capitalizing on simple fare that doesn’t sacrifice big flavor. This flavorful chicken doesn’t take long to marinate or cook and was perfect for what I’ve been aiming for. 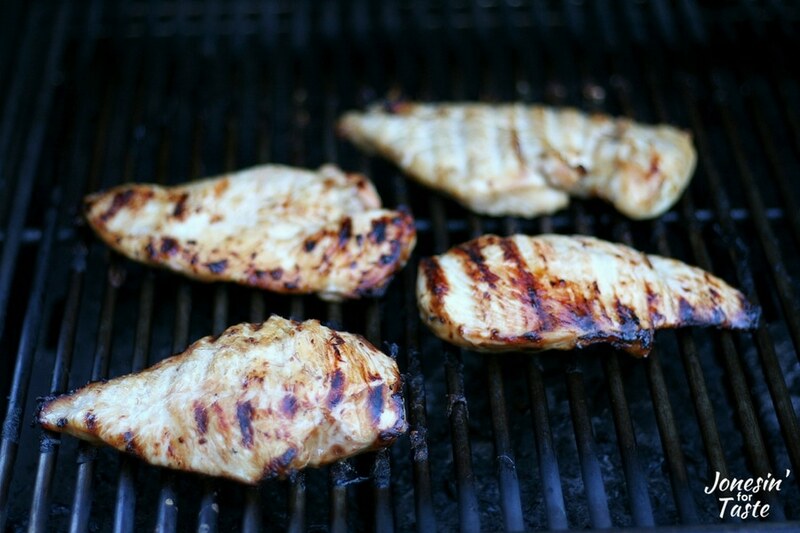 The awesome flavor of the chicken marinade comes from using the NEW P.F. Chang’s® Home Menu Sesame Sauce. 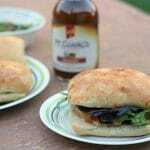 I really packed in the sesame sauce flavor by using it three different times: as the marinade, with the spring lettuce mix, and I even brushed some on the ciabatta rolls. Yum! It really packed in a lot of flavor into such a tiny package. 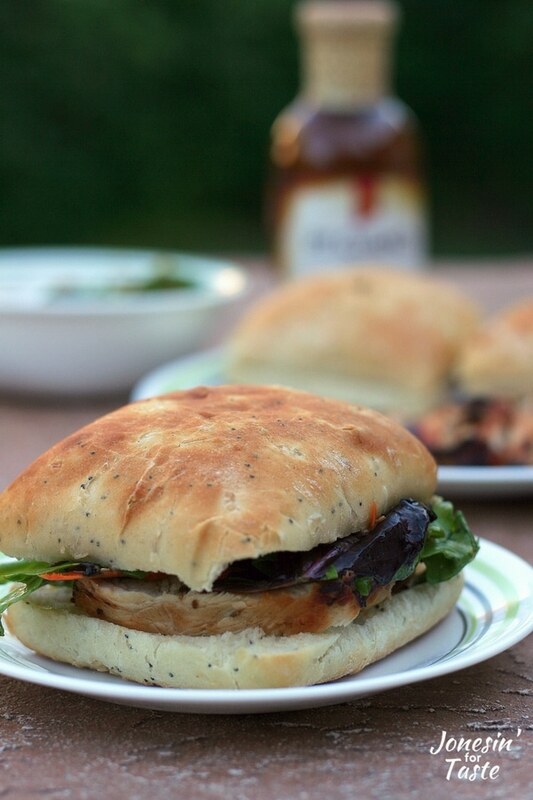 A sandwich seemed like the perfect choice to meld the awesome flavors of Asian cuisine with the ease of grilling for a quick summer weeknight dinner. And my kids lapped it all up shunning the sandwich just so they could eat the chicken. They happily ate the leftover chicken the next day with some leftover rice. I was scrolling through all the ideas available so far for the NEW P.F. 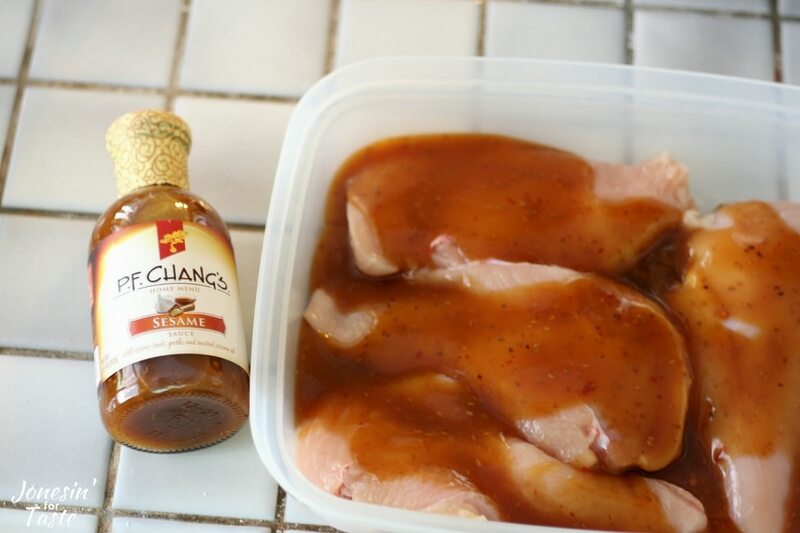 Chang’s® Home Menu sauces and I can’t wait to try some of them out! I was really intrigued by the Teriyaki Trail Mix! While your out shopping at Walmart be on the lookout for the P.F. 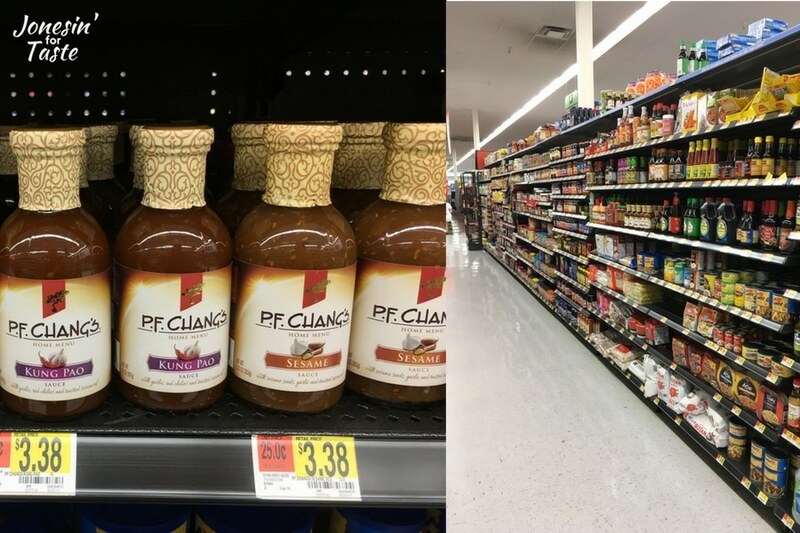 Chang’s® Home Menu sauces in the Asian food aisle. In certain stores there will be in-store signage that allows Android users to tap their phones on the sign to access recipes, videos, and an Ibotta offer! How cool is that? You can find a list of the stores participating here. Keep things simple on a busy weeknight with this Easy Sesame Grilled Chicken Sandwich topped with a spring lettuce mix on a ciabatta roll. In a bag or marinating container, add chicken and 1 cup P.F. Chang's® Home Menu Sesame Sauce as marinade. Allow to marinate for at least 30 minutes. You can do longer if you have time. Heat grill to medium high heat and cook chicken for 6-7 minutes per side until cooked through. Meanwhile, combine the lettuce mix, shredded carrots, and green onions in bowl. Add enough P.F. Chang's® Home Menu Sesame Sauce to lightly coat. 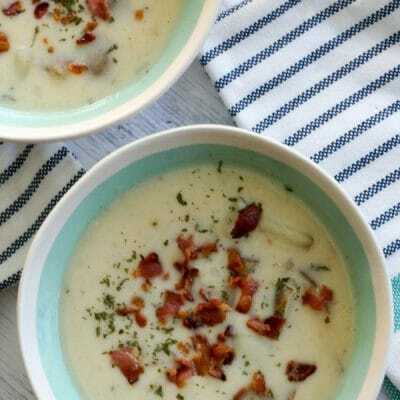 I used about 3 Tbsp but you can use more or less to taste. 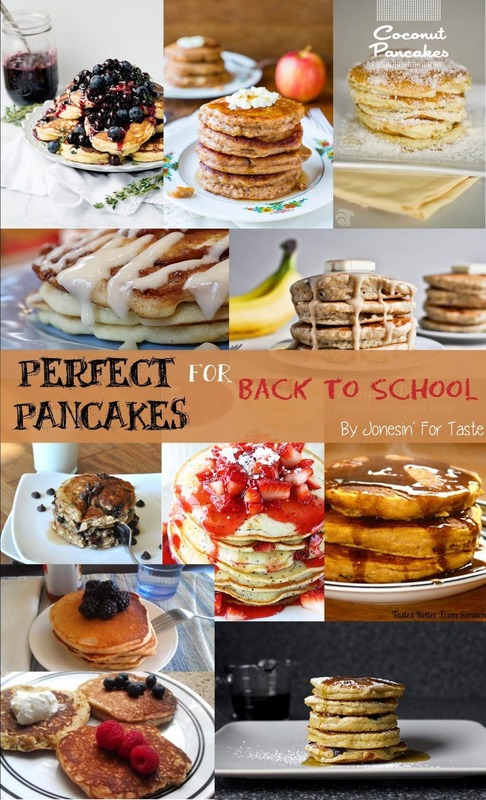 Spread about 1 additional Tbsp of P.F. 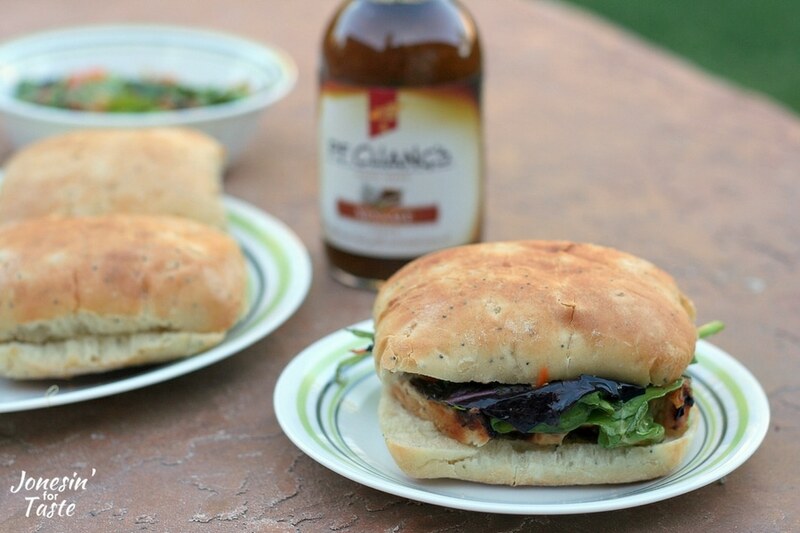 Chang's® Home Menu Sesame Sauce on the ciabatta rolls. Slice chicken and place slices on the rolls. Top with a handful of the lettuce mix. These look really good and fast. 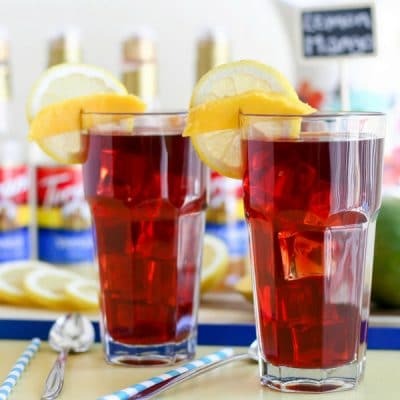 Perfect for those busy summer days. I love the new technology and the new things that are always come forth. I just need a ten year old around to show me how it all works. Good to know about the Android app. I have apple, but my hubby has Android. Thanks for sharing.